Everyone likes surprises at Christmas and on their birthday but nobody like surprises at real estate closings. 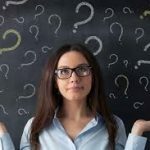 Unfortunately, when any buyer closes on a home, they may not know what to expect and they may be in for a few surprises. A good Realtor like the sales executives at the Trembley Group Real Estate and a patient and experienced closing attorney like Tom Stanley at the Dunes Law Firm have been through the process hundreds of times and can be a great resource. They both have a stake in seeing that the closing goes seamlessly, with no surprises. Buying a home is a huge responsibility. It is the biggest purchase most people make and is certainly worth the time to understand all the ins and outs of the purchase. For first time home buyers, the process is fraught with new terms and new experiences. 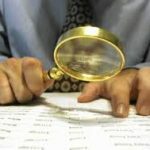 Over a short period of time, real estate agents, mortgage lenders, home inspectors, attorneys, and others are asking for information, giving instructions, and demanding documentation. It’s not surprising that from time to time any buyer, experienced or first-timer, encounters the unexpected. 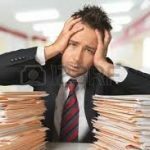 Getting a copy of all required documents from the closing attorney’s paralegal and going over them with a Realtor is a good idea. Reviewing all the required documents is one way to ensure everything goes well. Clarification can be given on the spot for confusing line items or confusing legal language. These are the documents that will be recorded in the courthouse. They will be final and they must be accurate. There may have been an agreement about repairs and there may have been a provision for a final inspection. If the seller is giving an allowance to make the repairs, make sure that language is covered in the signed documents. These documents will be recorded and once recorded, cannot be changed. 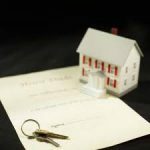 Even with a well-written purchase contract and a careful review of the closing documents by the buyer’s agent, there will almost certainly be a need for some funds at the closing table. Do not assume the attorney will accept your personal check. Find out exactly how much is needed and visit the bank to get a certified check. A wire transfer is acceptable, but the process needs to start at least a day before the closing to make sure it reaches the attorney in time. 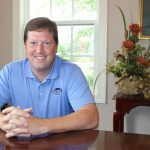 Thomas Stanley is the founder of the Dunes Law Firm in Myrtle Beach and has been practicing real estate law for more than two decades. He has closed thousands of real estate transactions. Tom says there are three closing line-items that frequently surprise buyers at a closing. It’s worth noting that these costs aren’t exactly hidden. They’re routine and legal, and these days, they’ve likely been disclosed. Nevertheless, Tom finds that many home buyers are a bit surprised when they encounter them on the closing documents. Title insurance is another fee that many home buyers don’t fully understand. Many home buyers confuse title insurance with mortgage insurance. Most borrowers understand that a down payment of less than 20% will require the purchase private mortgage insurance, known in the industry as PMI. PMI will not be disclosed in the Truth in Lending statement received from the lender. And PMI isn’t included in the Good Faith Estimate of Closing unless in the unlikely event they elect to pay the insurance premium upfront in cash. PMI premiums are expressed as a percent of the loan balance, so in dollars, larger loans carry higher premiums. Traditionally, premium rates vary with the type of loan, down payment, and the amount of insurance coverage required by the lender. Coverage standards are dictated by Fannie Mae and Freddie Mac, the two Federal agencies that buy a large proportion of the loans sold by lenders in the secondary market. Title insurance is a form of indemnity insurance which insures against financial loss from defects in a real estate title. In South Carolina, ownership (title) to real estate is usually transferred from a seller to a buyer with a general warranty deed. Title insurance will defend a lawsuit against the title and reimburse the insured for actual monetary loss up to the dollar amount of the policy. There are two types of title policies – owner and lender. Lenders require fire insurance to protect their investment, and nearly all institutional lenders also require title insurance to protect their interest. Buyers may also want coverage. If a problem exists with a title, a loan policy provides no coverage or benefits for the buyer/owner so the decision to purchase an owner policy should be independent of the lender’s decision to require a loan policy. On the surface, HOA fees seem simple. Monthly HOA fees are intended to pay for the repair, maintenance, and upkeep of all commonly owned areas of a condominium or a subdivision governed by a homeowners association. The fees might cover security, common utility bills (such as electricity bills for street lights), landscaping or lawn-mowing services, and maintenance and repairs to commonly owned area like hallways, roofs, and walkways, and maintenance to community facilities like clubhouses, pools, golf courses, and gyms. HOA fees also cover insurance and the salaries of HOA employees or independent contractors such as an outside management company. Ordinarily, the HOA board of directors (a group comprising homeowner members) will establish a budget and divide the total expenses by the number of homes in the community to set the monthly dues amount. HOA fees are not reduced for services that homeowners don’t use. Even if a homeowner never takes a swim in the pool or works out in the gym, the services presumably add value to the property and all homeowners are expected to pitch in to maintain them. Each homeowner is expected to make monthly or other fixed payments throughout the year and can face penalties and even foreclosure for nonpayment. At a real estate closing, monthly HOA dues are prorated like taxes. For instance, if the monthly HOA dues are $300, that amounts to $10 per day. If a sale closes on the 10th, the seller is charged for ten days or $100, and the buyer is charged for 20 days or $200. When a community is governed by a homeowners association, all property owners have to abide by the association’s rules and regulations. If a house in an HOA community is sold to a new owner, there is usually a transfer fee. The HOA transfer fee covers the cost of the management’s time, document preparation, and the distribution of the community’s rules and regulations to the new owner. The HOA management team sets the fee. The HOA transfer fees usually range from $100 to $400 with an average fee being $225 to $250. Payment of transfer fees is negotiable between the buyer and seller. An estoppel letter is a certificate, signed by either an officer or authorized agent of the association that states what is owed through a given date. The certificate of assessment includes special assessments. But what about pending special assessments? If a special assessment has been formally adopted, it must be disclosed. If the special assessment has not been adopted then it does not need to be disclosed. For example, if an association has no reserves and needs to replace a hurricane-damaged roof, the association can use a special assessment to raise the necessary funds. If the association is reviewing bids and will likely select a contractor and approve a special assessment at the next meeting, there’s no requirement to disclose a special assessment because nothing certain was adopted. Once the estoppel letter is signed and delivered, the association is bound by that quote. It cannot come back later and say they miscalculated or forgot a month of assessments, etc.. While most buyers understand that property taxes are prorated at closing, in South Carolina property taxes are assessed, billed, payable, and due a little bit differently than some states. That topic is best left for another blog dedicated solely to that subject. A special assessment becomes an obligation of the owners on the date the board or the membership adopts the resolution. 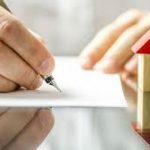 The owner at the time the assessment is adopted or approved is responsible for the payment of the special assessment, and the adoption of the assessment may create a lien against the property. If the property is sold before the special assessment is paid, the responsibility for the debt – the buyer or the seller – should be addressed at closing. The contract most commonly used for the purchase and sale of real estate in South Carolina states, “Special assessments approved prior to closing shall be the responsibility of the SELLER. Special assessments approved after closing shall be the responsibility of the BUYER.” It is important to note that a special assessment can be agreed upon by the board but not approved pending bids from contractors. So, the homeowners association may agree that a roof damaged by a hurricane needs to be replaced but the replacement has not been approved pending final bids from contractors. A process charged with so much emotion, with so much money at stake, and filled with so many pitfalls should never be started without expert advice. Thomas Stanley is the founder of the Dunes Law Firm in Myrtle Beach and has been practicing real estate law for more than 20 years. The Dunes Law Firm is a full-service real estate firm, handling commercial and residential real estate closings, development of commercial and residential communities, the formation of property owner associations, negotiation of real estate sales contracts and lease agreements, and 1031 like kind exchanges. With more than 20 years’ experience in real estate, Tom can assist with most real estate transactions. He can be contacted at 843-692-8000. There are no experts more knowledgeable than the Sales Executives at The Trembley Group and Thomas Stanley at the Dunes Law Firm. They know the Myrtle Beach and the Grand Strand real estate market. They are committed to finding and closing the home that is your first choice, not your second or third. If you’re ready to begin the home buying or home selling process or would just like to sit down and discuss the process with a professional, give a professional at The Trembley Group Real Estate a call at (843) 945-1880. It will start a process that is sure to be one of the most exciting and probably one the most lucrative of a lifetime.